One of my New Years resolutions was to make a new recipe a week, to get me back into the kitchen and trying new things. I have done so, and it has really inspired my eating in general. I'm having fun with new flavours, herbs and spices, and combinations. Thankfully the boys are happy to entertain themselves for half an hour, though not without me refereeing from the kitchen! I'm excited to meal plan, often ordering my shopping a week in advance because I find recipes I'm eager to try, my Pinterest feed might even crash soon. Brunch and salads are two of my other favourite things to play around with too, especially in the warmer weather! Whole grain toast, scrambled eggs, fried mushrooms and kale, vegetarian sausages, homemade hash browns with sweet potato and red onion. Chorizo pasta bake with spinach. 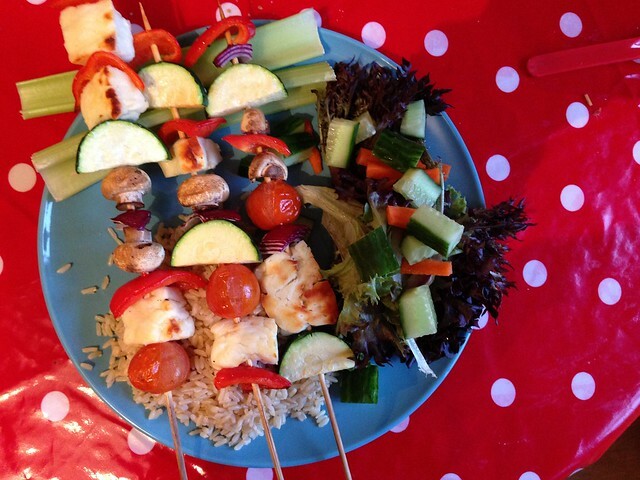 Vegetable and halloumi skewers, brown rice and salad. 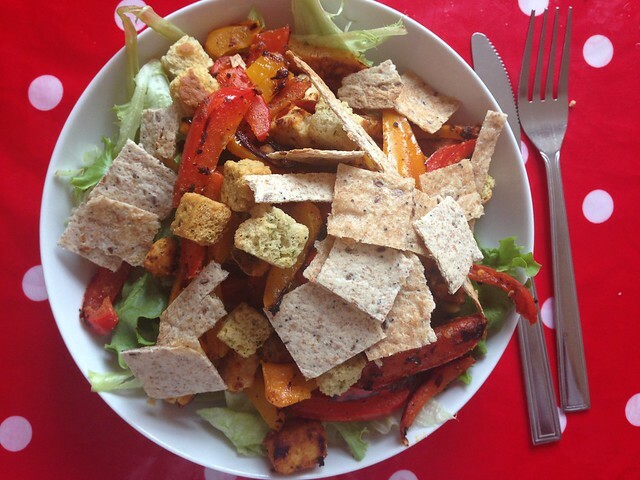 Fajita salad - peppers and Quorn chicken style pieces over iceberg lettuce, with croutons and tortilla chips. Mozarella, spinach and pesto grilled cheese and a Diet Coke. 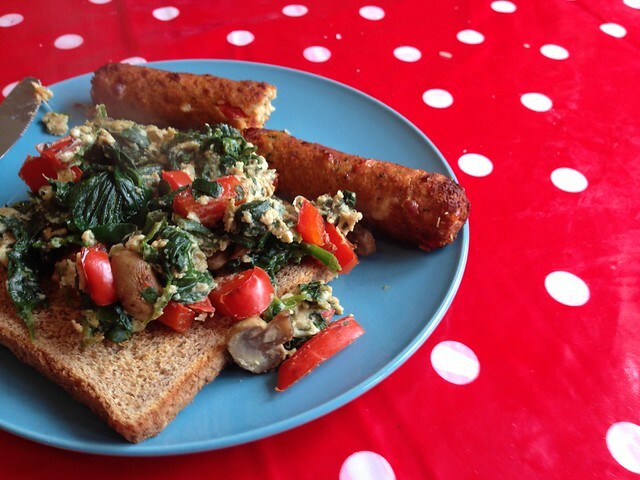 Scrambled eggs with tomatoes, peppers, mushrooms and spinach on wholemeal toast, and vegetarian sausages. Breakfast smoothie. Strawberries, raspberries, banana, spinach, raspberry yogurt and almond milk. Garlic butter spaghetti with herbs & spinach. 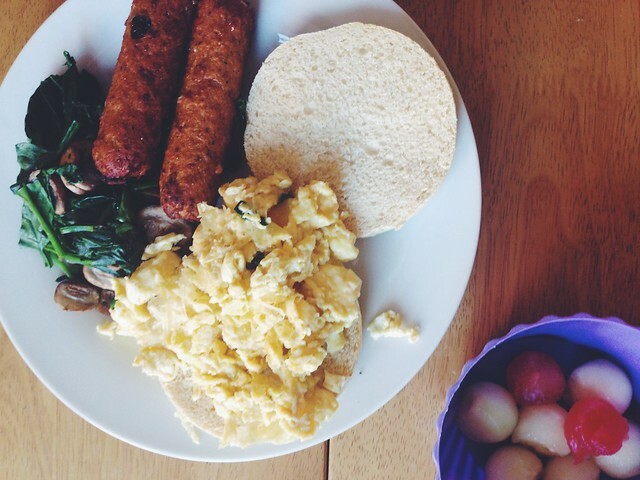 Scrambled eggs on an English muffin, sautéed mushrooms and spinach, and vegetarian sausages. 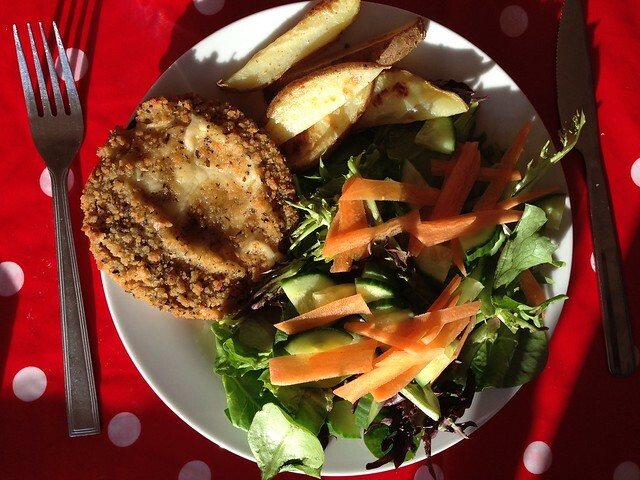 Tesco Meat Free Sun Dried Tomato & Pesto Melts, potato wedges and salad with cucumber and carrot. 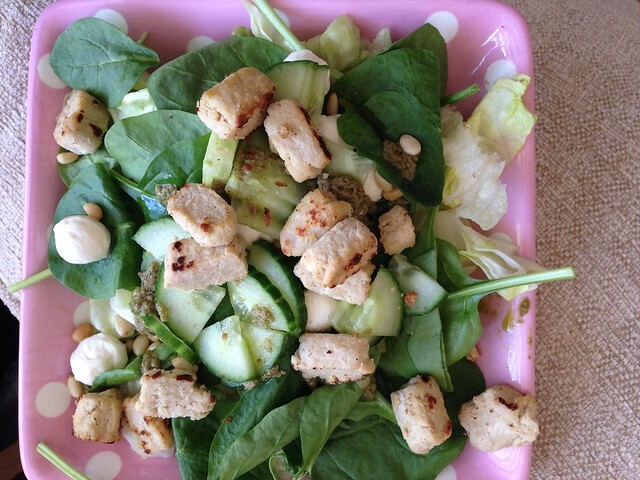 Iceberg lettuce, spinach, Quorn chicken style pieces, cucumber, pine nuts, mozzarella balls and pesto dressing.